If you’ve seen the new About Me page, you’ve already seen these cookies =). 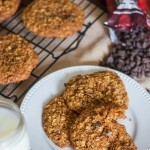 I was having a new blog profile picture taken and needed some food “props”, so I whipped up these cookies. I was kind of rushed so I googled something like “twists on chocolate chip cookies” and found this recipe. I had all the ingredients on hand and it had great reviews, so I went with it. I didn’t look for other similar recipes to compare, I just grabbed some butter and threw it in my stand mixer ;). Sometimes you just get lucky! 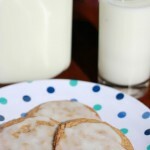 These cookies were soooo good – some of my favorite cookies ever! 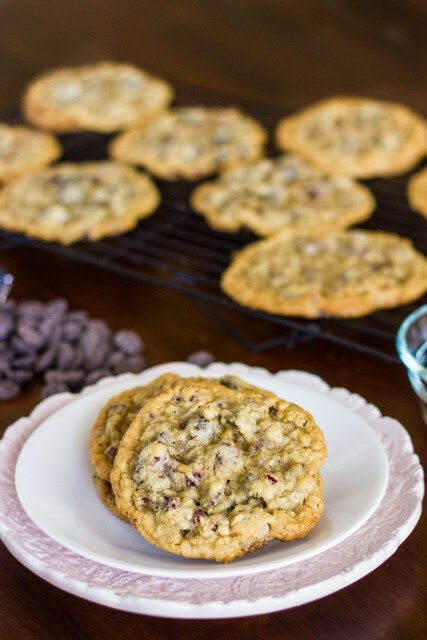 I loved the combination of the dried cherries with the dark chocolate chips and they’re texture was perfect. 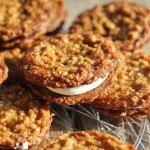 They have slightly crisp edges and chewy middles – just the way I like my cookies! 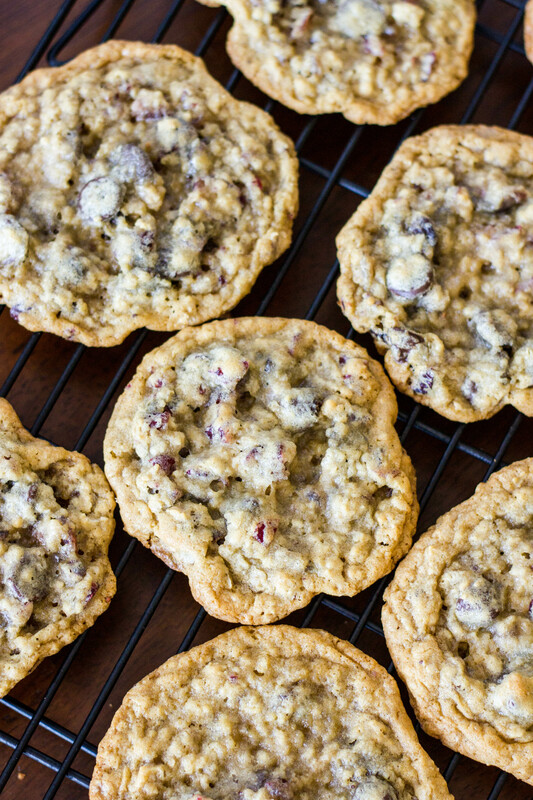 The only downside of this recipe is that it only makes just over a dozen cookies. Which is actually probably a good thing considering their size and how good they are. I mean they’re seriously addictive and I want my skinny jeans to fit after all =). If you can’t find dried cherries, you could substitute dried cranberries. I’m sure they’re be equally delicious. Enjoy! 1. In bowl of stand mixer with paddle attachment, cream butter and sugars until light and fluffy. Beat in egg and vanilla. 2. Combine the flour, oats, baking soda and salt; gradually add to creamed mixture and mix well. 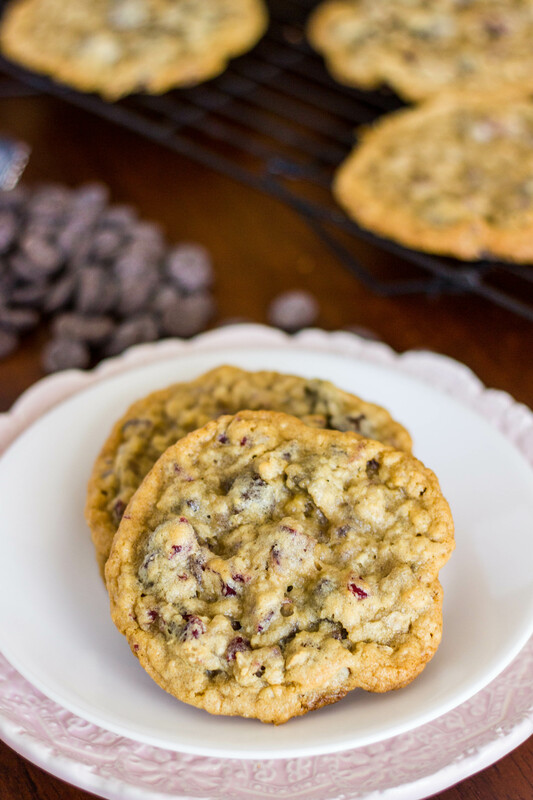 Stir in cherries and chocolate chips. 3. Drop using 3 tbsp scoop onto lightly greased or parchment lined baking sheets. Bake at 350° for 12-14 minutes or until edges are golden brown (centers will not appear done but will set upon cooling). Cool for 1 minute before removing from baking sheets to wire racks. Makes 14-15 cookies. Nutritional Info (per cookie): 203 calories; 8 g fat; 31 g carbohydrates; 1 g fiber; 2 g protein. Made these today. They’re a HIT! !